Bar Point is the most northerly spot on St Mary's. Square SV9113 is covered at high tide, but accessible when the tide is out, as here. 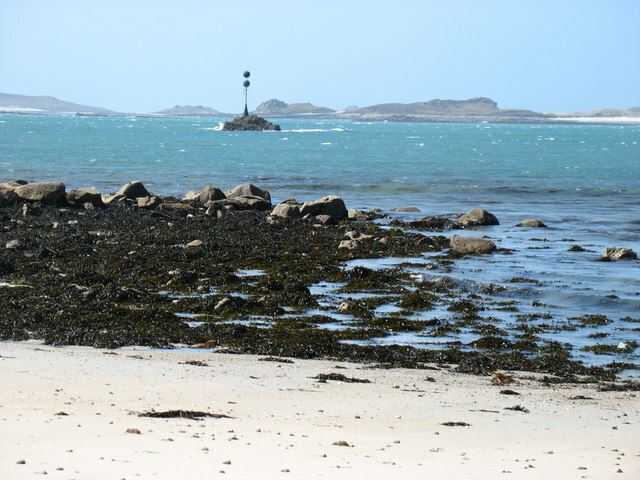 The sandy beach in the distance on the right is on Tresco.